There are several pieces that all come together when you are trying to select your first aquarium setup. 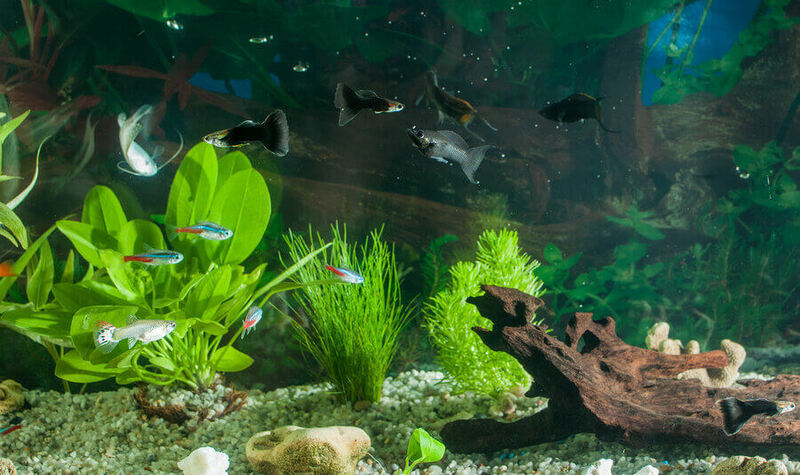 You have to decide which size tank is right for you and your home, as well as where you tank will sit, the various components of the tank, the types of fish, and what type of decorations you tank will eventually need. You should also consider how much time you have to devote to the upkeep and cleaning of your tank. Before you pick out a tank size, you have to decide where you plan on putting it in your home. 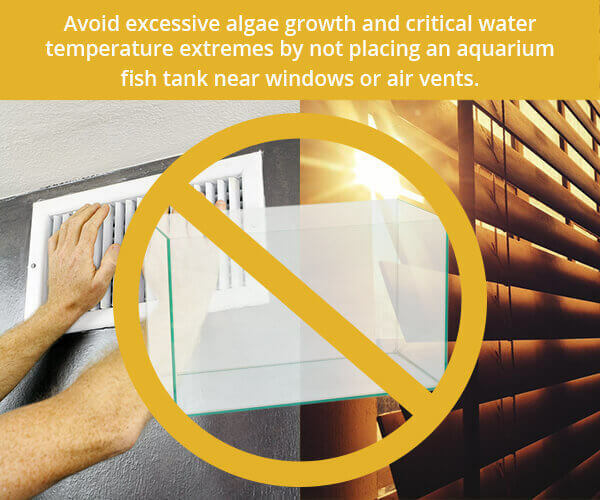 A tank shouldn’t be directly over heat ducts or in front of windows because the heat from your heat ducts or the sun will cause the tank to grow algae on the side of the glass and while this isn’t deadly to your fish, it will require you to clean your tank a lot more to keep up with it. Your tank should have room for you to get along at least three sides of it to make water changing easier and reduce the risks of spills. As soon as you figure out your perfect location, you can move on to choosing a tank size. The actual size of your tank is the base for all of the other decisions that will come as you continue to set up your perfect aquarium. Fish tanks, whether they are for saltwater or freshwater fish come in a variety of styles and sizes. You can get tanks as small a 1-gallon all the way up to over 200 gallons. Very popular beginner tanks are typically 10 to 20 gallons. Every tank needs a good filtration system to keep the water clean. The first is a mechanical system. This filter removes debris and particles in the water by filtering the water through a spongy material filled with charcoal. It is easy to maintain, you just removed the spongy material once a week and rinse it well. There are box filters as well. These are the least expensive option and work very well for smaller tanks. Aquariums need balance in lighting. If it is too strong it’ll cause the water to warm, and this will lead to algae buildup. If it’s too dim you won’t see your fish. LED lights are gaining popularity because they are long lasting and bright. Smaller tanks usually only need one light while a larger tank can have two or three. You should look for a light that is one or two watts per gallon for it to be ideal. A heater is an important part of your aquarium, as fish don’t produce their own body heat. To calculate the correct heater size for your tank you take the average degrees the room the tank is in and subtract that from what you want your tank to be. You could possibly skip the heater if the tank doesn’t fall below 70 degrees and goldfish tanks don’t need a heater at all because they are hardy fish. Many people like plants because they are a colorful addition to any tank. Plastic plants are more popular over live plants because they come in a wide variety of color, are easy to maintain, and offer hiding places. There are thousands of tank decorations and you have to be careful to not go overboard. You should have a design in your mind when you go to pick out decorations. Make sure your fish has at least one or two places to hide. You tank decorations should not have sharp edges and should be made from tank safe materials. The substrate or gravel will be a big factor in which types of decorations work in your tank. Do you want small gravel, sand, glass stones, or even small stones? When you choose which fish you want, this can depend on which gravel you chose. A sandy bottom will give your tank more of a saltwater look, but it is more difficult to work with. Gravel substrate is ideal for freshwater tanks. It gives it a natural look and they are easy to clean. Glass stones are pretty but don’t offer much for healthy bacteria to grow on. Small gravel is also ideal. It is easy to clean and comes in a variety of colors. Many people mix and match small gravel and small stones. Once you decide on all the different parts it is time to move on to cycling your tank to get it ready for your fish. To begin cycling your tank properly, you’ll set up your aquarium with everything but the fish. Pick your area, place your tank and add the pre-washed substrate. Next, add your water and air stones or pumps. Once that is done, add your pre-washed plants and decorations. Lastly, add your filtration system and your heater if you chose to have one. Turn on the pumps and filter and let this run for a few days. Once it has stabilized, you can slowly add a few hardy fish like guppies and danios. You want good bacteria to have time to grow and let the toxins filter out and have the fish survive the process. Every few days change out 10-25 percent of the water. Make sure the water you’re using isn’t chlorinated and if it is, treat it with dechlorination or water conditioner before adding it to your tank. You can find these chemicals at the pet stores. 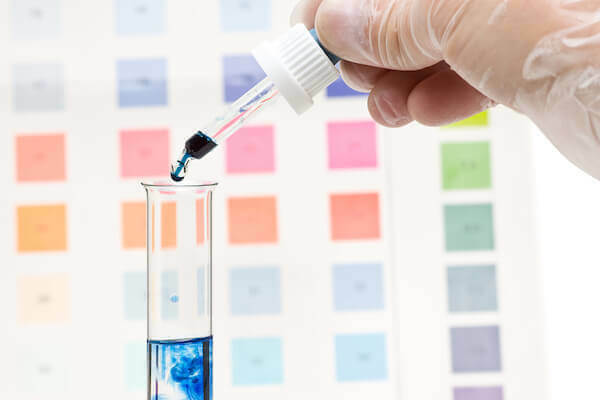 Buy a test kit and monitor the toxin levels daily until it reaches the correct levels. The cycling process is over when the levels or nitrate and ammonia are so low they can’t be detected. When you are purchasing fish you have to make sure they are all the same type or close to it. There are non-aggressive, semi-aggressive, and aggressive freshwater fish. If you try to put aggressive fish in with non-aggressive fish the aggressive fish can kill the non-aggressive fish. Semi-aggressive and aggressive fish can coexist together as long as they have room to avoid each other. 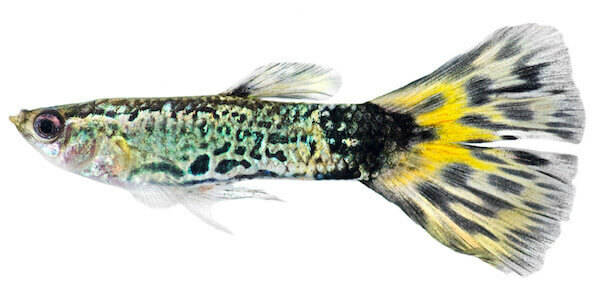 Some colorful fish that could exist in a community tank are: neon tetras, danios, platies, guppies, cherry barbs, pearl gourami, tiger pleco, mollies, and swordtails. 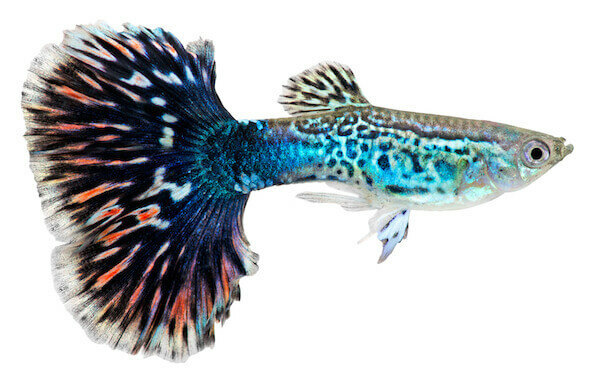 These fish swim at a variety of levels so you will have fish visible all over your tank. They are also mellow fish, which will reduce the stress levels in the tank. 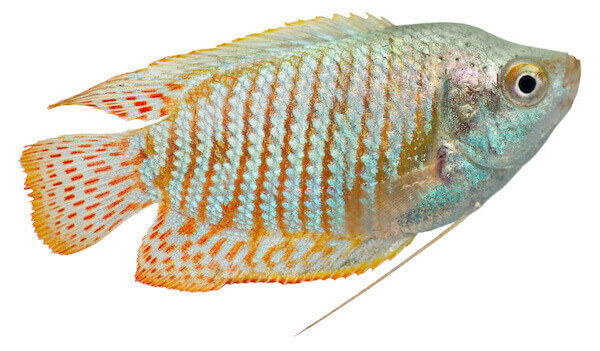 If you want aggressive fish that will coexist you can try angelfish, cichlids, and bigger gouramis. The mellow fish are usually best for beginners and they are hardier. When you clean your aquarium, you won’t do a full water change. You start by taking roughly 10 to 20 percent of the water out every week. 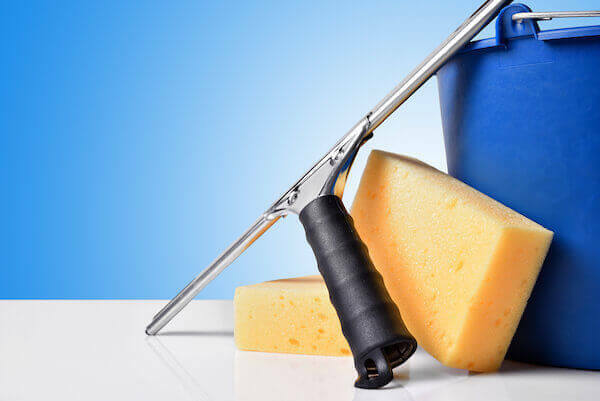 Scrub the sides of the aquarium with an aquarium brush or soft cloth. Take all your plants and decorations out as soak them in a water solution of 10 percent bleach. After they’ve soaked for fifteen minutes, take them out and rinse them vigorously to make sure the bleach solution is totally out. Remove your filters and rinse them well in warm water to remove the buildup. Add fresh treated water back to the tank and add your decorations back in. You should also consider adding a little aquarium salt to reduce the risk of disease. Illnesses can ravage a tank in a matter of days. Make sure your water maintains a high quality. The chemicals should be checked regularly and balanced as needed. 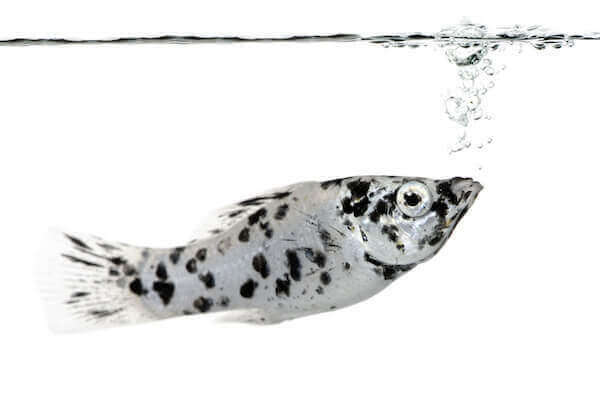 Avoid stressing your fish out as stress will make them more susceptible to disease. Make sure you are providing adequate food for your fish type, and lastly if you see a sick fish remove it from the tank and quarantine it. Watch your other fish for any signs they could be getting sick too. Starting a new fish tank can be an exciting and new adventure. As long as you properly start your tank and practice good maintenance, your fish should thrive and give you a beautiful tank for years to come. The best way to clean the water, to make it clear is to do a water change. To remove the chlorine from the tap water, you should purchase a dechlorinator. I was thinking you guys should make a guide to aquarium fish species.